Where does the saline in my implants come from? 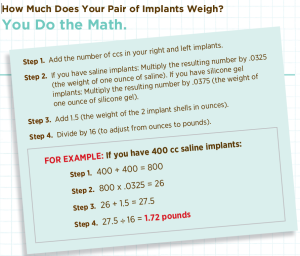 Saline breast implants have a silicone shell that is inserted empty and then filled with sterile salt water. But where exactly does that salt water come from? I don’t make period trips to the beach to scoop up buckets of salt water. Although seawater does contain dissolved salts, it is also home to various microscopic organizations, which have no place in your implants. Saline implants are filled with salt water in about the same density as ocean water, so when you’re swimming, you’ll be neutrally buoyant. Nor do I fill a glass with tap water and shake in a teaspoon of salt, like my mom did when I had a sore throat and she made me gargle. Tap water won’t hurt you, but it does contain minerals and trace elements and is therefore not sterile. The saline solution that fills saline breast implants is manufactured by a few pharmaceutical companies. It is a mixture of sodium chloride, or salt, and sterile water, and it’s free of contaminants, microorganisms and bacteria. That’s important to minimize the chance of infection. There’s a huge demand for that saline. The same sterile saline solution that fills your breast implants is used in contact lens solutions and in dialysis labs. It’s used to clean wounds, mix medications and fill I.V. bags to rehydrate someone who’s lost fluids from diarrhea or vomiting. In addition, to lower the already-low chance of infection, patients are given oral antibiotics before surgery, the skin around the incision site is prepped with an antiseptic solution, and the field is irrigated with an antibiotic solution. 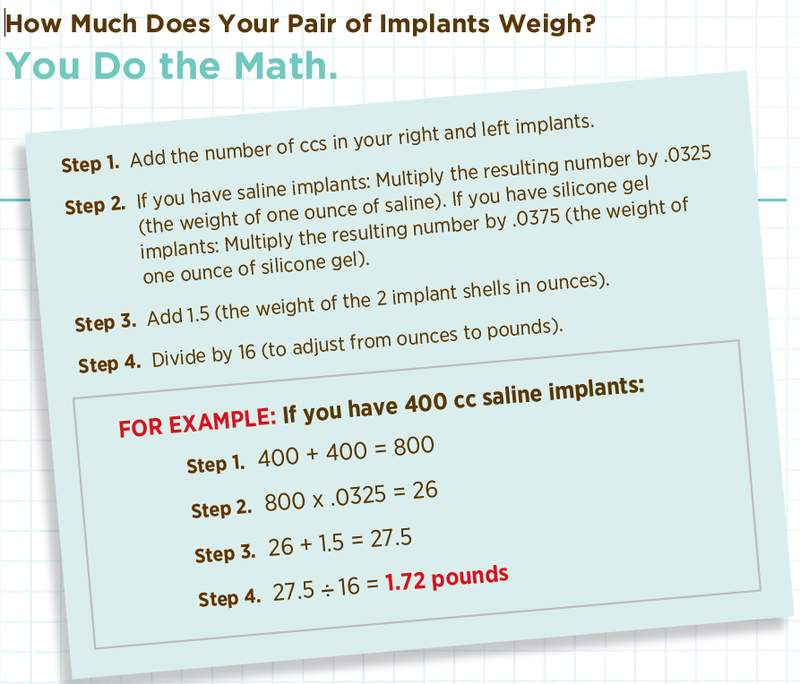 If a saline implant shell tears and the saline solution leaks out, it cannot harm you. It’s the same concentration as the salt water that makes up about 60 percent of the human body. Your body absorbs the saline and then you urinate it out. So this holiday weekend, if you’re thinking of taking your breast implants for a swim in the ocean, know that they are filled with salt water that’s the same density as the ocean but didn’t come from the ocean. This entry was posted in From Dr Ted and tagged breast augmentation, breast implants, saline by Joyce. Bookmark the permalink.